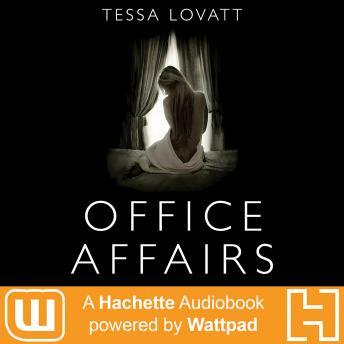 OFFICE AFFAIRS is a new release from Hachette Audiobooks: Powered by Wattpad - an innovative collaboration between Hachette Book Group, a leading publisher, and Wattpad, a passionate storytelling community of over 45 million people. Your favorite online stories, now available in your headphones! Sasha can't believe her luck when she lands a job at Montgomery's, one of London's most prestigious companies. Working for 23-year-old Alastair Montgomery isn't easy, though, especially when he acts more like a friend than a boss. Regularly assuming the role of his right-hand woman, Sasha finds herself deeply involved in Alastair's life. But when the company is thrown into the spotlight, the lines between professional and personal relationships become blurred, and Sasha realises she's close to being wrapped up in an office affair that doesn't stop when the clock strikes five.